What about Hiring and Immigration Compliance? Hiring may continue through the shutdown. As always, employers must continue to verify employment eligibility of their new hires by the third day of employment using form I-9. However, employers who use E-Verify need to be aware of a few issues. E-Verify and E-Verify services are currently unavailable and will remain so until funding for the Department of Homeland Security (DHS) is restored by Congress and the President. As the shutdown continues, E-Verify webinars and support services will not be available. Employers will also have no access to their E-Verify accounts. That means you won’t be able to create an E-Verify case, take any actions on existing cases or run reports, among other things. Also, employees will be unable to resolve E-Verify Tentative Nonconfirmations (TNCs). In the meantime, employers must be very careful not to take adverse action against an employee because the E-Verify case is in an interim case status, including while the employee’s case is in an extended interim case status due to the unavailability of E-Verify. Additional guidance will be provided regarding the “three-day rule” and time period to resolve TNCs deadlines once operations resume. Federal contractors with the Federal Acquisition Regulation (FAR) E-Verify clause should contact their contracting officer to inquire about extending federal contractor deadlines. For more information about E-Verify during the shutdown, click here. The Equal Employment Opportunity Commission (EEOC) is now operating on a contingency plan that has limited its activities to those that involve “the safety of human life or the protection of property”. In other words, they are not actively investigating any claims right now. If you have mediation scheduled with the EEOC during the shutdown, it’s going to have to wait until the government is up and running again. At that time, mediators will contact all involved parties to reschedule. If you are being sued by the EEOC, those proceedings will be postponed as well, unless the court will not grant a continuance. Don’t expect any new guidance to come from the EEOC anytime soon regarding hot topics including sexual harassment policies, sexual orientation discrimination or wellness programs. For more information about the EEOC during the shutdown, click here. 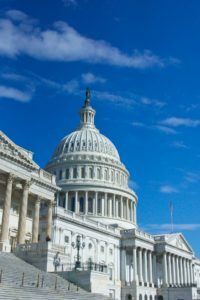 The Worker Adjustment and Retraining Notification Act’s (WARN) notice requirements for layoffs probably won’t be needed for this partial shutdown as it is not likely to exceed six months. Employees who have been furloughed may be eligible and apply for unemployment compensation. Federal contractors that limit or stop work during the shutdown should pay workers according to applicable law, as always. The Fair Labor Standards Act (FLSA) requires that exempt employees be paid their set salary if any work is performed during the workweek. If the company furloughs exempt workers for a full workweek, no salary will be owed for that week. However, if the furlough does not cut across the entire week, an exempt employee must be paid their full salary for the week if they performed any work. As always, non-exempt employees need only be paid for the time actually worked during the workweek. If you must furlough any employees, it is best to remind them all that NO WORK is to be conducted while they are on furlough, including checking work emails or returning work-related phone calls. Be sure to check with your insurance carrier to determine if a furlough will cause any employees to lose eligibility under your plan. If so, you must consider COBRA coverage requirements and send notifications as applicable. If you are an employer with questions about any HR-related issues, please feel free to contact us at HRHelpline@eastcoastrm.com. If you have any questions about East Coast Risk Management and the services we offer, please visit our website (www.eastcoastriskmanagement.com) or call (724) 864-8745.